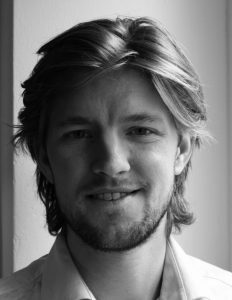 Warm welcome to our new post-doc Tim van Timmeren! Tim van Timmeren started working as a post-doc. He will conduct experimental and fMRI research to investigate the psychological and neural basis of implementation intentions. If you want to read more about Tim, visit his personal page. A study that was led by Maartje Luijten (Radboud University, Nijmegen) has been published in the journal: Nicotine & Tobacco Research. We used the computerized slips-of-action task to study the balance between goal-directed and habitual control in smokers. We found no differences overall between the smokers and a nonsmoking control group in task performance. However, individual differences in smoking severity were significantly and negatively correlated with performance, pointing at impaired goal-directed control in more severe smokers. 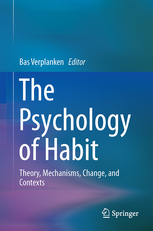 The Psychology of Habit was edited by Prof. Verplanken and was recently published by Springer. Sanne contributed a chapter on the role of habits in maladaptive behaviour and in therapeutic interventions, focusing specifically on the use of implementation intentions to break unwanted habits and form new, more desirable habits. From the publisher’s site: This unique reference explores the processes and nuances of human habits through social psychology and behavioral lenses. It provides a robust definition and theoretical framework for habit as well as up-to-date information on habit measurement, addressing such questions as which mechanisms are involved in habitual action and whether people can report accurately on their own habits. Specialized chapters pay close attention to how habits can be modified, as well as widely varying manifestations of habitual thoughts and behaviors, including the mechanisms of drug addiction and recovery, the repetitive characteristics of autism, and the unwitting habits of health professionals that may impede patient care. And across these pages, contributors show the potential for using the processes of maladaptive habits to replace them with positive and health-promoting ones. Throughout this volume attention is also paid to the practice of conducting habit research. In this recently published book by Elsevier (Editors: Morris, Bornstein, & Shenhav), Sanne de Wit contributed a chapter on habits and goal-directed action control in disorders of compulsivity, including substance abuse and obsessive-compulsive disorder. 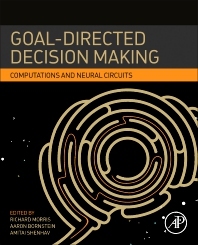 From the publisher’s site: Goal-Directed Decision Making: Computations and Neural Circuits examines the role of goal-directed choice. It begins with an examination of the computations performed by associated circuits, but then moves on to in-depth examinations on how goal-directed learning interacts with other forms of choice and response selection. This is the only book that embraces the multidisciplinary nature of this area of decision-making, integrating our knowledge of goal-directed decision-making from basic, computational, clinical, and ethology research into a single resource that is invaluable for neuroscientists, psychologists and computer scientists alike. 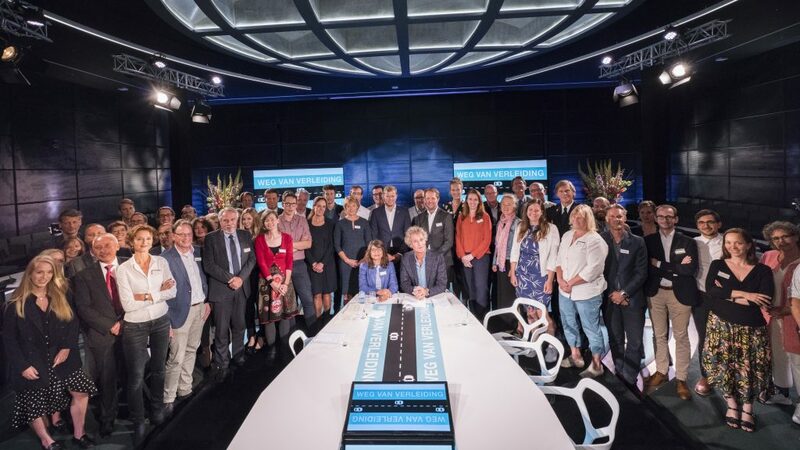 Tijdens deze meeting (geinitieerd door Interpolis) werd met stakeholders en gedragsexperts gesproken over oplossingsrichtingen voor het maatschappelijke probleem van smartphone gebruik in het verkeer. 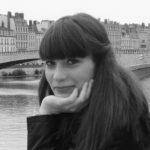 Paula Ibáñez de Aldecoa is visiting us from the University of Vienna for research into mental fixation and automaticity, as part of her PhD Project under supervisión of Dr. Sabine Tebbich. After obtaining a BSc degree in Biology (2010) and a MSc degree in Neuroscience (2016) at the Autonomous University of Madrid, I started my PhD at the Department of Cognitive Biology at the University of Vienna under supervision of Dr. Sabine Tebbich, where I am working on the mechanisms, components and promoters of innovation in humans and animals. Currently I am visiting the Habit Lab during three months as part of a research project on the relationship of habit proneness and mental fixation on innovativeness and problem solving skills in young human adults, in collaboration with Dr. Sanne de Wit and her team at the University of Amsterdam. Waarom kan jij wat ik niet kan? Met de jaarwisseling waren onze voornemens zó oprecht, maar inmiddels hebben velen moeten constateren dat gewoontes sterker zijn dan onze wil. Toch lukt het sommigen wél om zichzelf te veranderen. Hoe doen zij dat? En: wat maakt het allemaal zo moeilijk om te doen wat we eigenlijk willen? Kunnen we onze wil niet wat beter beheersen? 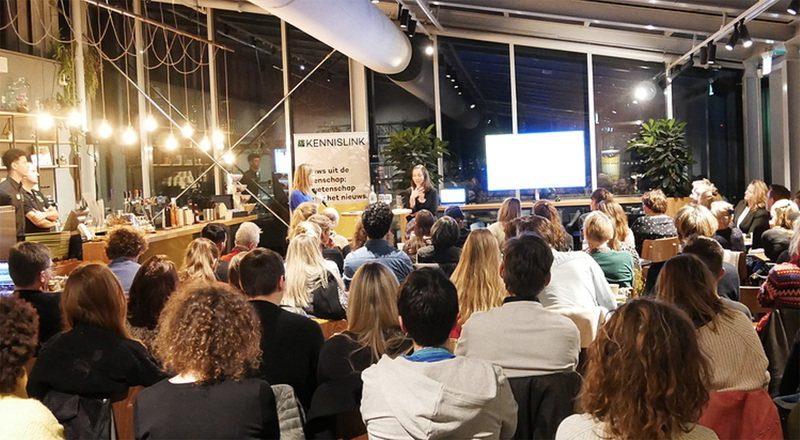 Op dinsdagavond 13 februari praten drie experts onder leiding van Desiree Hoving tijdens NEMO Kennislink Live met het publiek over de vraag of we onze wil onder controle kunnen krijgen. Toegang is gratis. Tijdens deze editie van NEMO Kennislink Live spreken we met wetenschappers die vanuit verschillende perspectieven nadenken over goede voornemens, doorzettingsvermogen en (zelf)beheersing. Dit keer: Wouter de Jong, Sanne de Wit en Vana Hutter. Wouter de Jong publiceerde dit jaar het boek Mindgym, sportschool voor je geest. Deze van oorsprong jurist en acteur begon in 2013 met het volgen van mindfulness-trainingen, onder meer aan de Vrije Universiteit. Sindsdien geeft hij mentale trainingen om jezelf beter te laten doen wat je echt belangrijk vindt en die ook nog eens wetenschappelijk onderbouwd zijn. 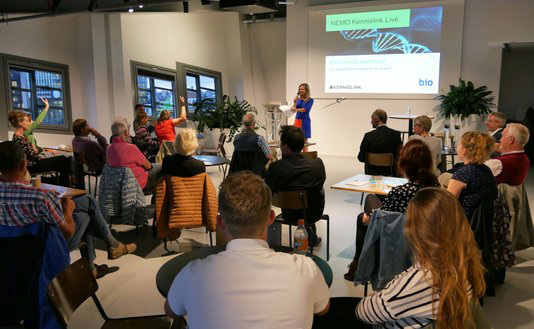 Sanne de Wit werkt als psycholoog aan de Universiteit van Amsterdam en is daar hoofdonderzoeker bij het Habit Lab. Daar onderzoekt ze onder meer hoe we onze goede voornemens het beste kunnen laten slagen. Zo ontdekte ze dat de ene mens zijn oude gewoontes makkelijker vervangt door nieuwe gewoontes dan de andere. Vana Hutter is als docent en onderzoeker in de sportpsychologie verbonden aan de Vrije Universiteit in Amsterdam. Ze begeleidde zowel top- als breedtesporters bij de mentale kant van trainen en presteren. Volgens haar is zelfregulatie, het vermogen om acties, emoties en gedachten te sturen, essentieel om je doelen te bereiken. Niet alleen voor sporters, maar voor ieder mens. Toegang is gratis en aanmelden kan via dit formulier. In this neuroimaging study, we investigated the effect of environmental stimuli on food choices (using a Pavlovian-instrumental transfer paradigm). We replicated earlier studies that found that sating participants on a particular food immediately reduces their responding to obtain this food in a computerized task. However, when food-associated (Pavlovian) stimuli are presented in the background, these will bias responding towards the signaled food regardless of satiation. Next, we related behavioral performance to multimodal MRI. The biasing effect of food-associated stimuli was related to brain activity in the posterior putamen and functional coupling with amygdala, and individual differences in gray matter in premotor cortex. This brain network was previously implicated in inflexible, outcome-insensitive habits. 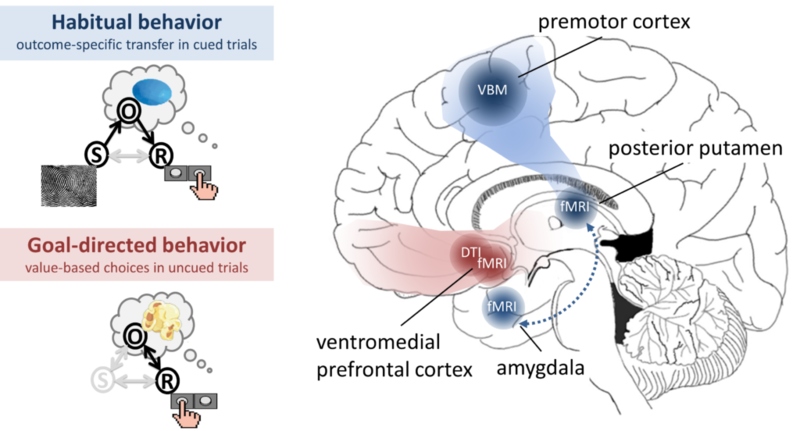 On the other hand, we found that goal-directed behavior in the absence of food-associated cues was related to brain activity in ventromedial prefrontal cortex and individual differences in white-matter tract connectivity with the caudate. Therefore, this study provides evidence for dissociable neural networks that subserve inflexible, stimulus-guided behavior versus goal-directed action. van Steenbergen, H., Watson, P., Wiers, R.W., Hommel, B., & de Wit, S. (in press). Dissociable corticostriatal circuits underlie goal-directed versus cue-elicited habitual food seeking after satiation: Evidence from a multimodal MRI study. European Journal of Neuroscience.